Ground-penetrating radars (GPR) find their wide use in subsurface pipes and cables disclosing. The information about the passages of old cable lines and pipelines is not always accurate. The application of GPR allows to considerably reduce the search time and to save money meant for that. Furthermore, there is and opportunity to map the locations of pipelines or cable lines. As a bottom layer for this mapping you can use a plan or a map of the area to be explored. All the assessments are made without destroying any structure. The one of many possible examples of GPR using - territory assessment before trenchless method laying of pipes or communication lines in urban areas. 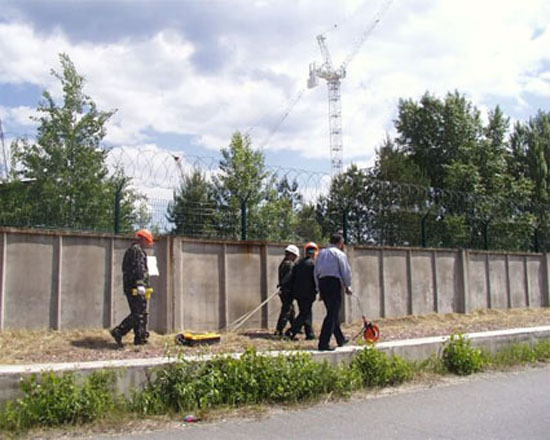 GPR using allows to search quickly some underground items being placed on the way of the cable or pipe route and then a future accident-free work of a cable placer or a road builder. GPR can find different types of pipes and cable channels: metallic, plastic, asbestos, concrete and other materials.